This year marks the 30th year of the Foot Locker (formerly Kinney) Cross Country Nationals. The Midwest has fared well at the National meet, with Connie Robinson of Cincinatti winning the meet for the midwest in 1981, three years into the meet, and enjoying four other national champions including two time champion Melody Fairchild of Boulder, Colorado. The last national champion to come out of the Midwest was in 2003 when Katelyn Kaltenbach of Aurora, Colorado won at Balboa Park with a time of 17:24. The 2008 national meet should have three past champions in this years meet. Jordan Hasay of Arroyo, California won the meet as a freshman in 17:05. 2006 saw Franklin Tennessee native Kathy Kroeger win in 17:29, while Ashley Brasovan of West Palm Beach topped both Hasay and Krorger in 2007, touring Balboa Park in 17 minutes, 20 seconds. Hasay is coming off a record setting track season, beating the high school record for 1500 meters, running 4:14.50 in the semi-finals of the Olympic Trials. Brasovan and Kroeger squared off this year at the Great American Cross Country Festival in Hoover Alabama, with Brasovan coming out on top. Illinois entries will definitely be in the hunt for qualifying for this years national meet. Class AAA State Champion Lindsay Flanagan of Lake Park HS in Roselle has already qualified for the Nike Cross Nationals, and has stated all season that she wants to compete in both National meets. Flanagan has established herself as one of the all-time best runners from Illinois by her sound victory at the IHSA State Championships where she opened up a big lead in the first mile and never looked back, winning by 13 seconds over fellow Nike National qualifier Kelly Whitley of Geneva High School. Not to be overlooked is Palatine Senior Sarah McIntosh. McIntosh finished 4th at this years Illinois State Championships. She consistently lead her team throughout the season, and figures to be in the mix at FLMW Saturday. Elizabeth Hynes (St. Charles East), Christina Gastfield (Rolling Meadows), Katherin Rhen (Lyons), Elaine Kuckertz (Hinsdale Central), and Margo Richardson (Mt. Vernon) could suprise the field by qualifying, but they certainly have the ability to do so provided they have been training since their November 8th State Championships. Kuckertz, Hynes, and Gastfield finished 6th, 7th, and 8th respectively at the IHSA Class AAA meet. Richardson was the Class AA Champion, while Rhen finished 16th in AAA. Kuckertz ran 18:37 to finish 7th at Nike Cross Nationals Midwest region, just missing out on qualifying. Some unsung heroes from Illinois that could finish in the top 25 include Mallory Abel of St. Charles East, Kayla Beattie of Woodstock, Molly Dahlquist of Peoria Notre Dame, Monica Hahn of Lincoln Way Central, Danielle Dickman of Vernon Hills, Olivia Jones of Buffalo Grove, and Jana Mitsos of Mokena. Mitsos, a former Illinois All-Stater, left her team before the IHSA series. She will be joined at FLMW by her sister, 12 year old Jamie Mitsos. Jamie has run near 5:00 for 1500 meters this past summer. Ashley Decker of Dowling Catholic Iowa. Both McLaughlin and Decker were their states champions. Sisson was a two time state champion in Nebraska before moving to Missouri this year, where she garnished her third state championship in cross country. 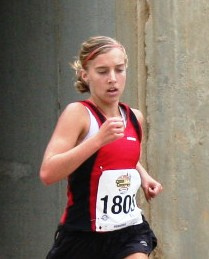 Sisson finished 5th in the 2006 Foot Locker national meet, and finished 23rd in 2007. The Junior will be looking for her third trip to Balboa Park. 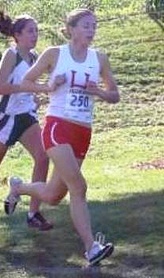 McLaughlin, the 4'10" Senior, is renowned for her excellent hill running skills. 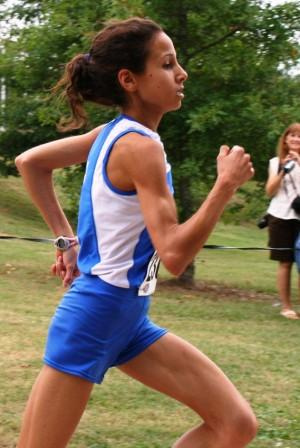 She holds a Cross Country best of 17:04 for 5 kilometers, and has run 10:49 for 3200 Meters on the track. Iowa Junior Katie Flood, a Dowling Catholic teammate of Ashlie Decker, should be in the mix for a top ten spot. 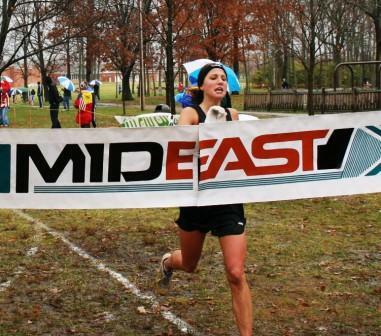 Decker recently won the Nike Cross National Heartland Qualifier, followed by Flood in 2nd place. Not far behind them will be Rochester, Michigan State Champion, Junior Megan Goethals. Gothals appears to be leading a contingent from Michigan that could potentially have five qualifiers including Goethals, Sophomore Shannon Osika of Waterford, Senior Rebecca Addison of Grand Haven, and Junior Jordan Tomecek of Milan. FLMW will also see a rematch of the Mid East Meet of Champions Winner and Runner Up, Chelsea Oswald of Walsh Jesuit HS, Ohio and Cally Macumber of Rochester Adams, Michigan. At the Mid East Meet, Oswald pulled away from Macumber in the last half mile to win by five seconds. The top ten finishers at the FLMW meet will qualify for the National meet, being held December 13 at Morley Field, Balboa Park in San Diego, California. This post-season has been very fruitful for the Illini so far. Illinois teams and individuals have cleaned up in all arenas. Two weekends ago, Team Illinois won their first Meet of Champions race in 12 years. It always helps to have a fleet of top notch all-state talent, including 3A champion Jeff Thode (left, in orange). At the Nike team Midwest Regional championship in Terre Haute, Indiana, on the same day, Illinois had perhaps the best ever post-season. Going into the high stakes meet besides a team trophy was regional bragging and rights and… a trip to Portland, Oregon. The MW Nike Cross Nationals team rankings treated Illinois kind during the regular season as the Illini state did a Rambo 1-4 sweep, and the young men didn’t disappoint with Elmhurst York and Naperville North going 1-2 in the sweepstakes. For depth measures, Geneva and Naperville Neuqua Valley placed 4th and 5th to validate their rightful status as elite teams in the region. The Midwest Footlocker Regional looks to be another invasion by Illinois- the most entrants of any state competing (over 100). Illinois will look to dominant the pseudo team scoring with top entrants coming from all three classes. Class AAA will send its top seven state championship scorers and AA mobilizing its 1st and 3rd placers. The race to San Diego, California for the national final on December 13 will be an intriguing on to say the least. Regionally speaking Joseph Manilafasha (Colorado) is the #1 ranked prep harrier in the country and his state mate Evan Appel is 9th. Drew Shields (Indiana) assumes the role of the top Hoosier along with freshman sensation Futsum Zeinasellassie. Ohio will bring its top runner in Zach Willis, as does Michigan in Stephan Walker. Not to be outdone is the host Wisconsin: they add Derek Storkel for overall depth. 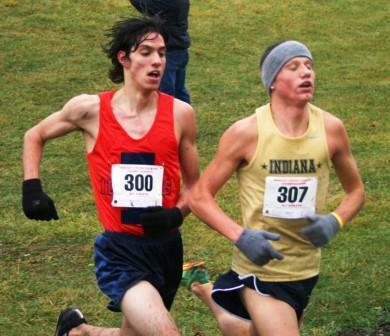 For Illinois, Danny Pawola (at right, Naperville Neuqua Valley) is the state’s top returnee as he placed 33rd in 15:52. He, though, will have to share the spotlight with fellow Illinois runners Thode (Hoffman Estates Conant), Steve Sulkin (Elmhurst York), Jordan Herbert (Elmhurst York), and Kyle Gibson (Naperville North). These four young men have had the focus and attention on since day one. It is not inconceivable that Illinois could have possibly three qualifiers or maybe four on a great day. Two weeks ago Sulkin and Herbert finished 1,3 at the MW NXN Midwest championship, thus setting themselves up for a great showing. Both Sulkin and Herbert have recently ran 4:16 one mile time trials to prove they sound and quality sustainable finishes in the tank. Thode appears to be on peak mode after returning late in the season from which he suffered a punctured lung in late September. He went on to win the 3A state title in dramatic style, powering the last quarter mile to hold off Sulkin. Thode followed up his state prowess by defeating a fleet of Midwest studs in the Mid-East championships a week later in Kettering, Ohio.